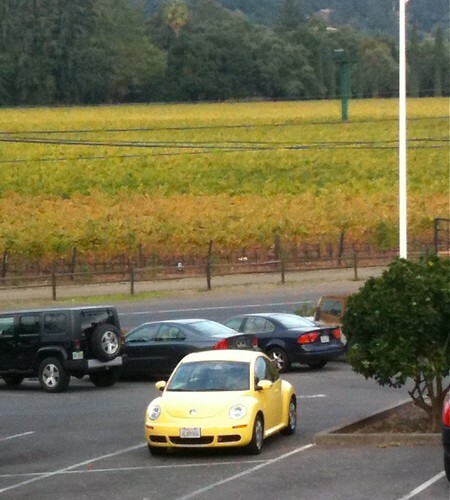 Allison arrived to meet me at the CIA in Napa Valley Thursday afternoon in this fun yellow cutie. Here we are in front of our room at Meadowood. Lucy did not come accessorized. 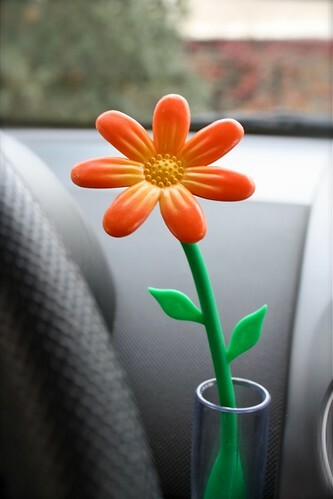 We had to pick up a little flower for her along the way (which became a nice souvenir for Gina). (they were good…but not sure about crazy good). After a not so substantial parking lot breakfast of trail mix, half a cereal bar and a plum followed by a wine tasting, lunch was definitely a priority. Bistro Don Giovanni’s came highly recommended and we couldn’t wait to check it out. This place was awesome! The atmosphere was bustling but charming. 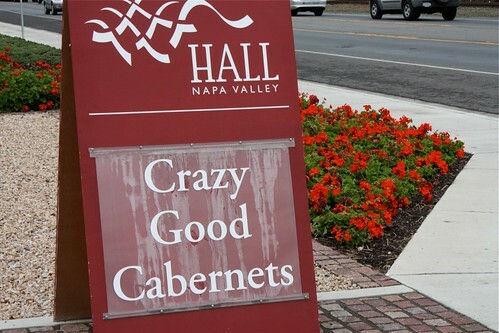 It was described to us as very “Napa”. Everyone who worked here was super friendly…both owners stopped by our table to chat and ask how we were doing…it was a fun place to people watch too. 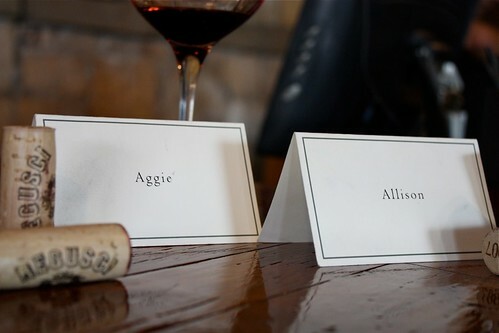 Carrying these name cards around with us may have helped in the friendly people department. Everywhere we went, everyone knew our name! Bruschetta – Fresh grilled bread topped with white bean puree and sardines caught in Monterey Bay. First time eating sardines for both of us and we loved this! Carpaccio – Thinly sliced filet of beef, capers, arugula, parmesan and a bistro breadstick. Melted in our mouths…I may have to learn how to make this at home. Autumn Ravioli – can’t remember exactly but I believe the pasta was made out of butternut squash or pumpkin and filled with ricotta. It was in a sage and butter sauce. Heavenly. Why oh why did I not take pictures of the food??? 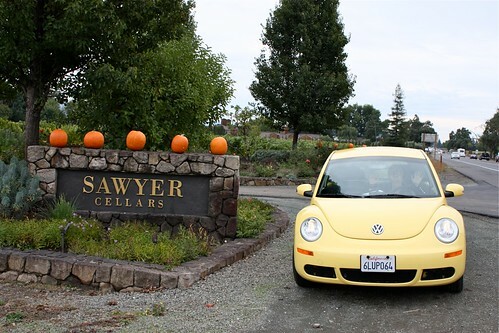 Next on the agenda was a random stop at Sawyer Cellars. 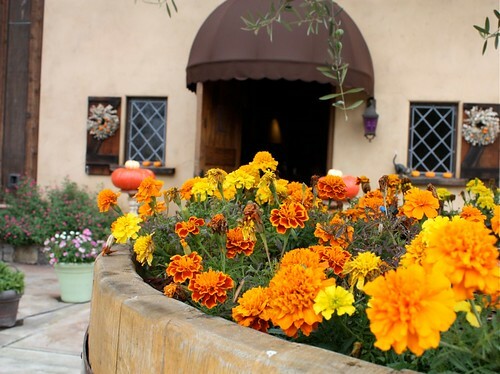 A small quaint farmhouse with delicious wine. We both ended up going home with a couple of bottles here. The wine taster was fun and kept us entertained while he gave us a little history of the property. Oh and I have to mention how unbelievably “grapey” it smelled there. It hit us the minute we walked in the building. We asked about it and he said it was the fermentation of the grapes that we smelled (it’s “crush” season in Napa right now)…I had a huge moment of deja vu bringing me back to my very young days in NY where my grandpa used to make wine in our garage every year. I am on a mission to find some pictures of that, it was always fun and what I would do to get my hands on some of that wine again! 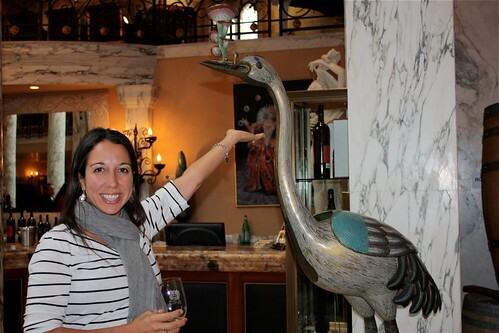 After some quick texting back and forth with Allison’s parents, we ended up at Del Dotto Estate Vineyards. Allison’s dad visited there and raved about it…we had to go. So glad we did. This place was GORGEOUS. 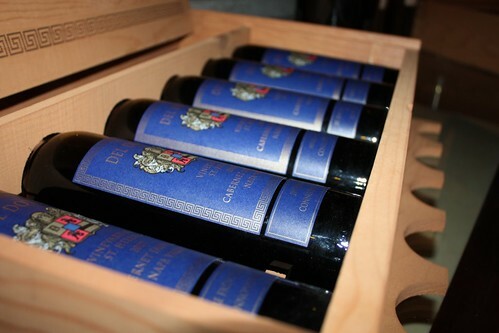 Del Dotto has two locations, one in St. Helena and one in Napa. 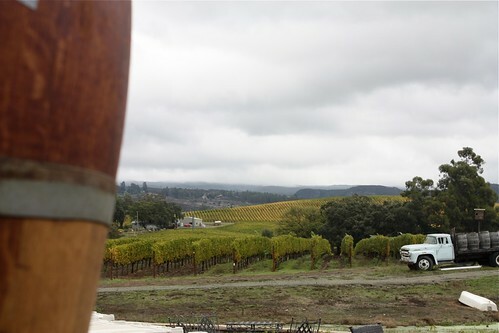 Our Friday afternoon visit was to the St. Helena location. Everything about it was beautiful, they really have a nice set up. 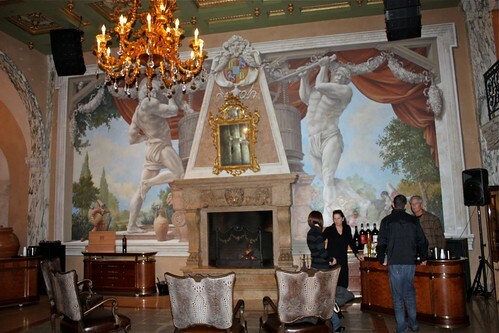 Lots of tasting tables scattered throughout the rooms with a very Venetian feel to it. And their little complimentary breadsticks were good too. Addictingly good (maybe it was the wine?). I think I may have eaten a whole basketful, dipped in olive oil….along with some chocolate. Good stuff and VERY good wine! 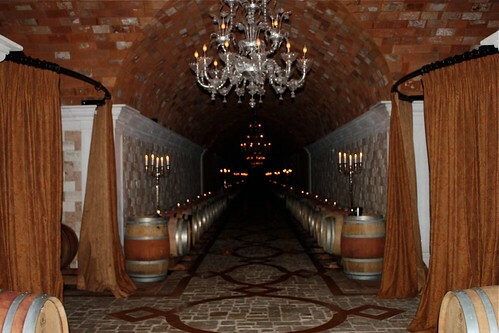 What’s unique about Del Dotto is the caves. They have cave tours held at both locations. 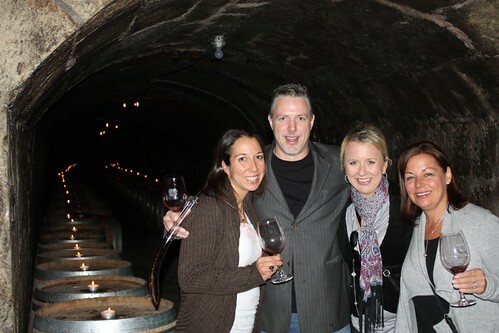 We were told the cave at the St. Helena location is the “Vegas” version of the old cave at the Napa location. We opted to visit the ancient cave and booked ourselves a tour for first thing the next morning. After our walk and breakfast, off we went to the ancient caves of Del Dotto. Wine tasting notes: It is VERY okay to share wine tasting flights. It’s economical and Allison and I realized it was essential to split the tastings in order to maintain our stamina if you know what I mean. And go ahead and eat the complimentary crackers and bread sticks. And toss the wine in the dump bucket if you aren’t that into it. And don’t forget to drink your water. 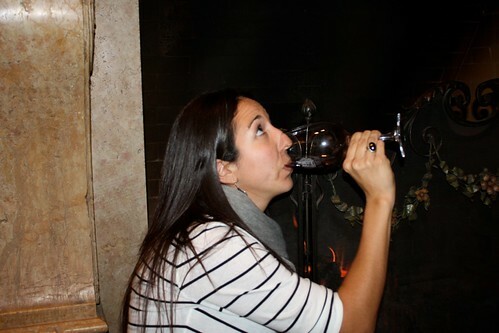 These are all very important wine tasting survival tips. 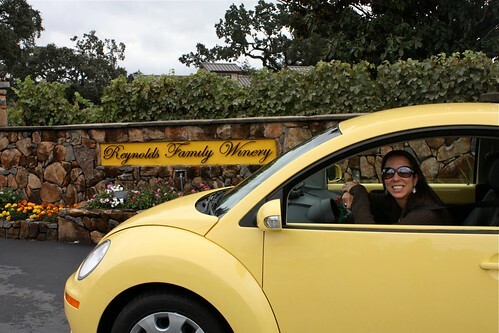 Connie recommended visiting her family friends at Reynolds Family Winery. So glad we did. Driving into this place, I immediately became awestruck. 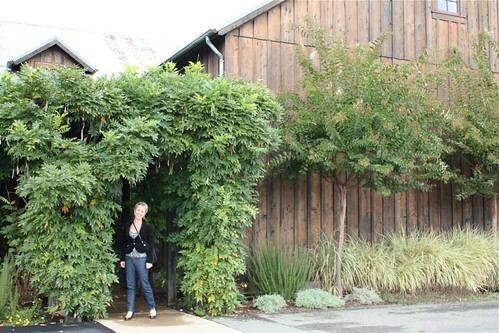 The grounds are beautiful, their home is beautiful and it is exactly how I picture it to be to “live in Napa”. 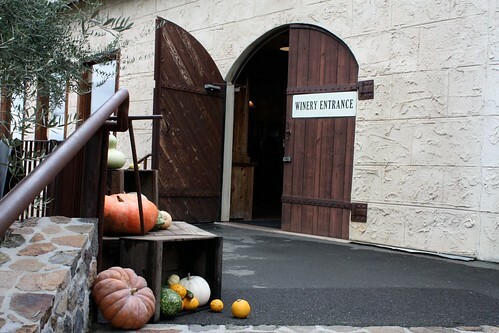 There were pumpkins and colorful flowers everywhere and it felt very homey in the tasting room. Lots of family pictures and a fat happy cat lounging on the cushy chair. I just loved it. 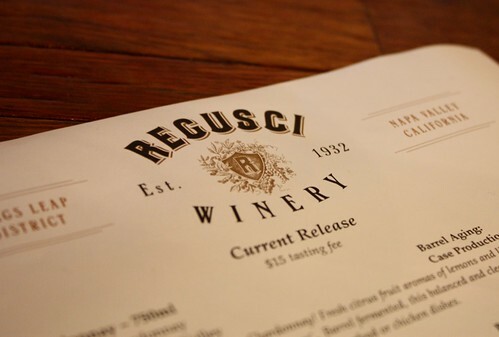 We ended our tastings at Regusci Winery. 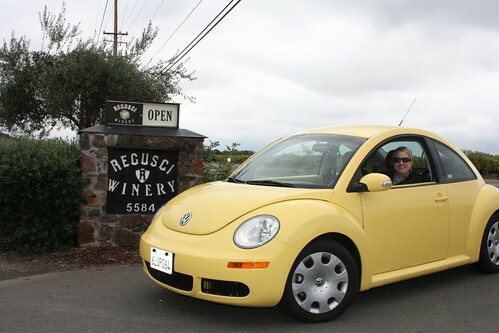 Another small family owned winery…very quaint and charming. The Regusci family dog, Trixie. She took a liking to me and stayed by my side after we met. 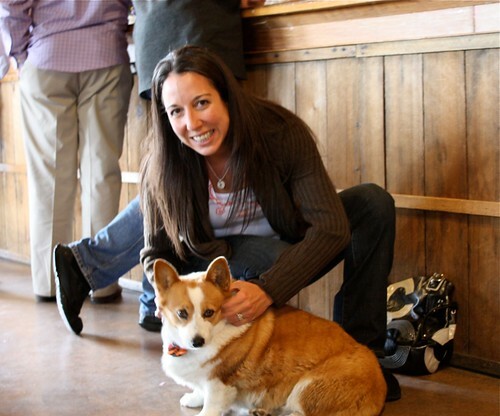 Such a sweet girl (I think she might be 11 years old…). It was definitely time for lunch at this point. 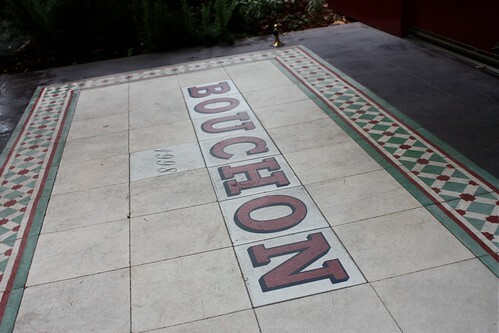 We made our way to Bouchon and had the most unforgettable meal. 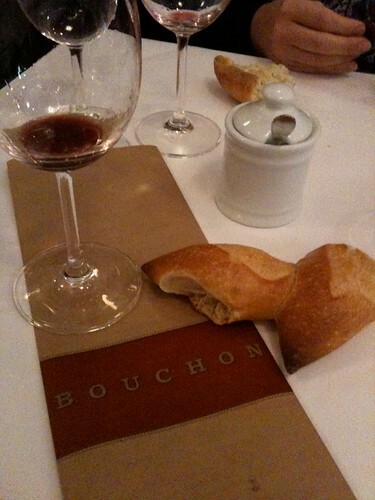 The bread, the service, the atmosphere, our plates of food…it was all more than wonderful. It was honestly the perfect way to end our trip. 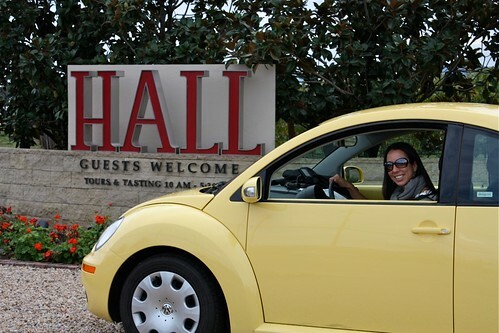 Until we meet again wine country…I will miss you. Oh my…y’all worked Lucy hard! I’m going with y’all next time. How fun! Love all of your photos! 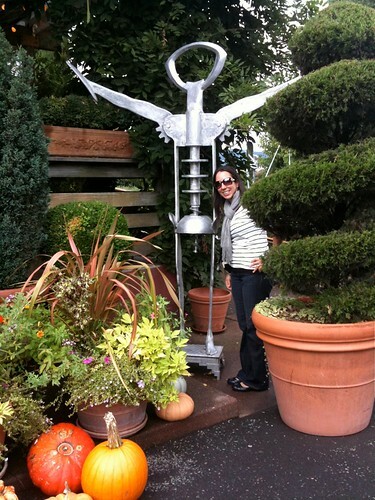 Loving the scarecrow! I think I might be inspired to do one like him next year. Can we do those in Florida?? Your journal is so much fun to read and it’s great to see the pictures. Would love to go along next time! It looks as though you had a fantastic time, Aggie! 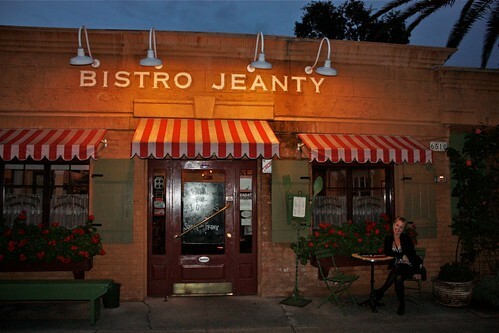 The picture of Bistro Jeanty reminds me of the fantastic meal I had there about 7 years ago. 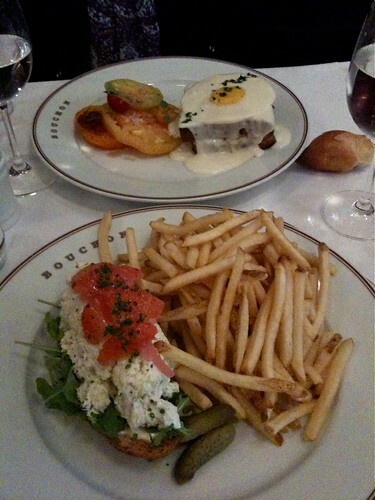 I am so jealous that you got to eat at Bistro Don Giovanni! 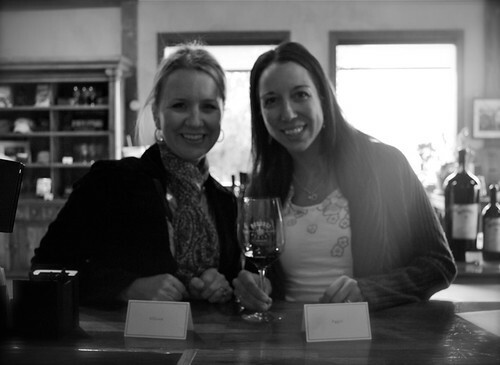 We live in Arizona now but we used to live in Danville, Ca which was just 45 minutes from Napa. We spent many Sunday evenings at Don Giovanni’s. We always sat at the bar because it was the best people watching and they also have super nice bartenders. One time when we were at the bar the person next to us was served some food that looked incredible- we asked the person what he ordered and he told us then insisted that we try a bite! It is a very friendly place! They used to have an incredible beet salad and also their Fritto Misto (I hope I spelled that right!) was so good that sometimes we got 2 orders. They also had a ravioli that was filled with pesto and served with a lemon cream sauce- it was amazing! Also, any of their risotto dishes are incredible as well. Can you tell I miss eating there? It’s probably been six years since we’ve been. We need to go back! LOVE THIS JOURNAL AGGIE – perfectly described! 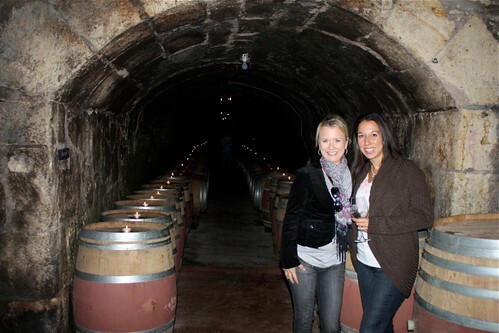 This trip, with one of my favorite friends, was the best – such fun and adventurous!! I miss NAPA!! I am ready to plan another trip out there! Wow! I haven’t been to Napa in ages. Your beautiful photos make me want to pack my bags! 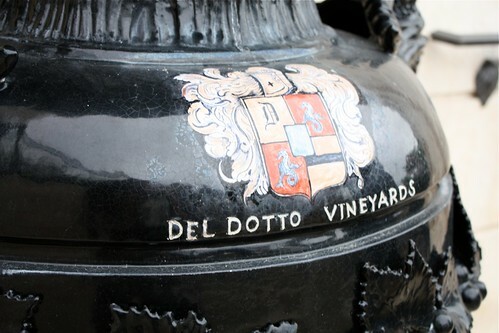 I love Del Dotto! Looks like a great time Aggie! I am glad I got to live it through your photos and stories! 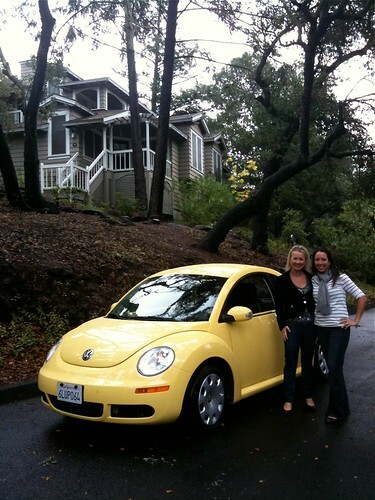 The yellow bug was such a nice touch. How fun to include it in all your pics. It was like your third travel buddy. 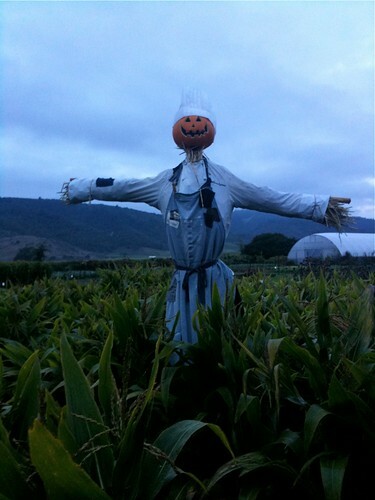 I want that scarecrow! Oh I have always wanted to go to napa! Everything looks so incredible:) Some day. I am so jealous, Aggie! What a fun time you two had. Yay! I’m glad I found your blog, too! Your trip reminds me so much of my recent one. 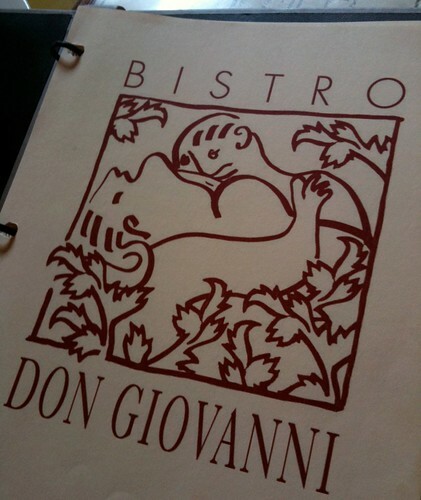 We ate at Bistro Don Giovanni and LOVED it. I’m still dreaming about the beet salad I had there – so simple but so perfect. I’ve been to Sawyer on a previous trip (you know the owner is from north Florida, right?). 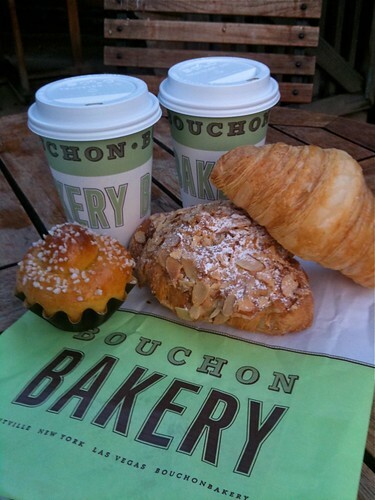 And I definitely had entirely too many Bouchon pastries. Seriously. My hips can attest to that. Lovely to run into another Florida blogger on the net! 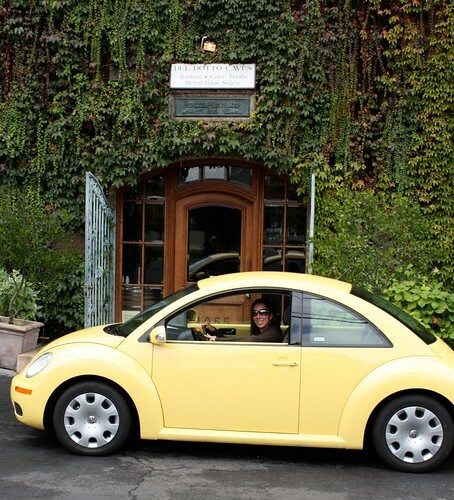 I went to Napa a few years ago, and it was quite possibly one of my favorite trips of all time. 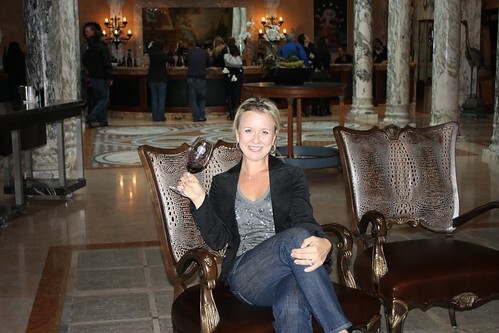 Amazing place…and wonderful wine! 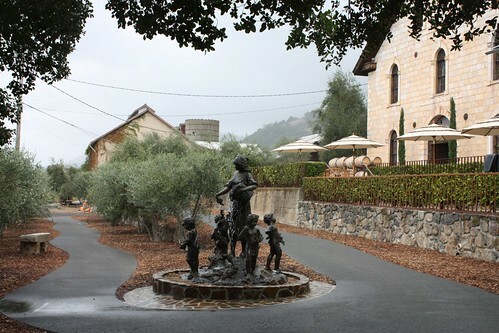 Napa, another reason I’m raring to visit the States, sigh…Must save my pennies, looks like a beautiful trip. That was great girls journey. Picture was amazing, I really appreciate it.